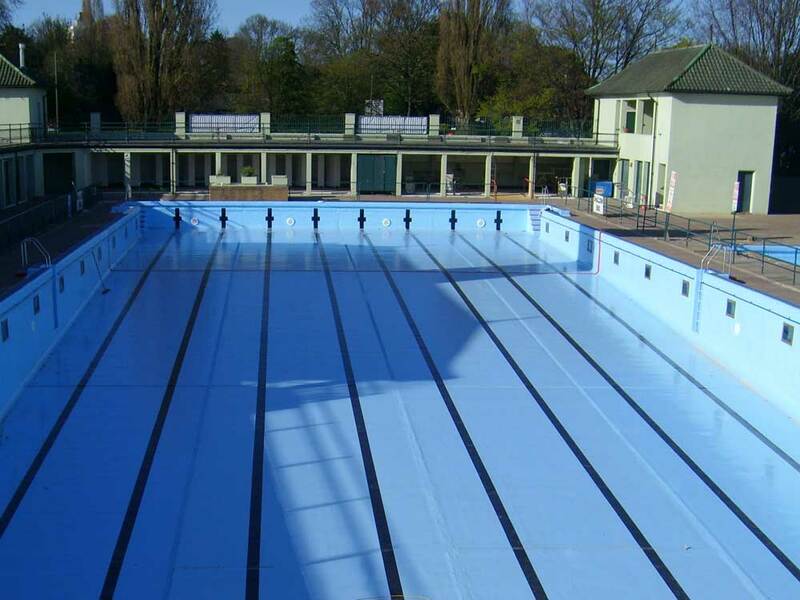 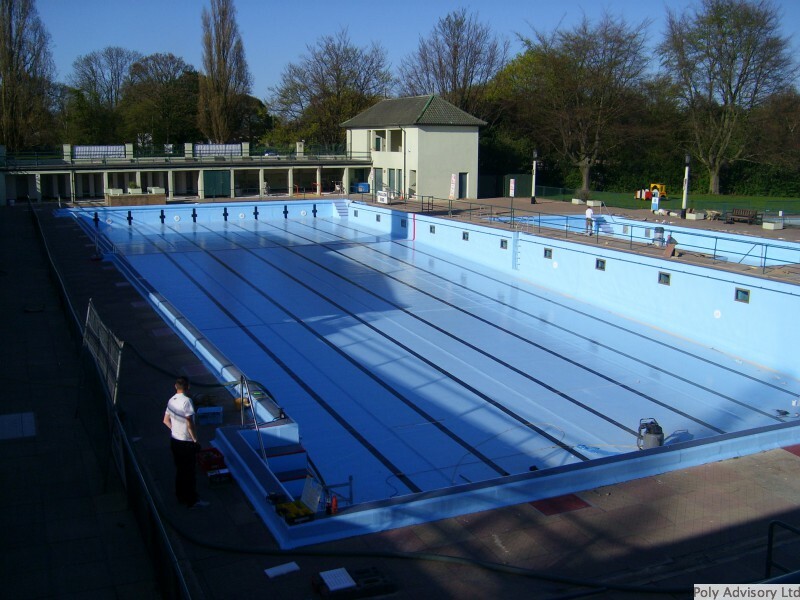 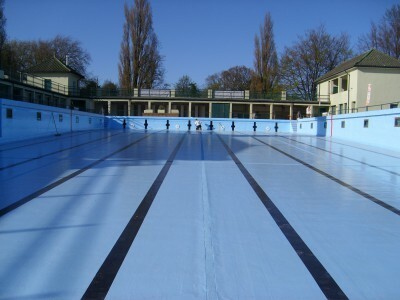 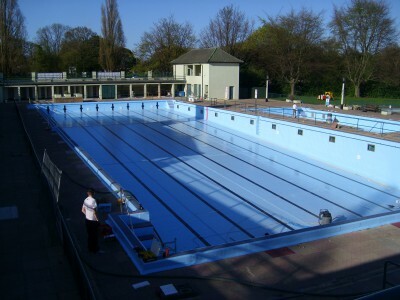 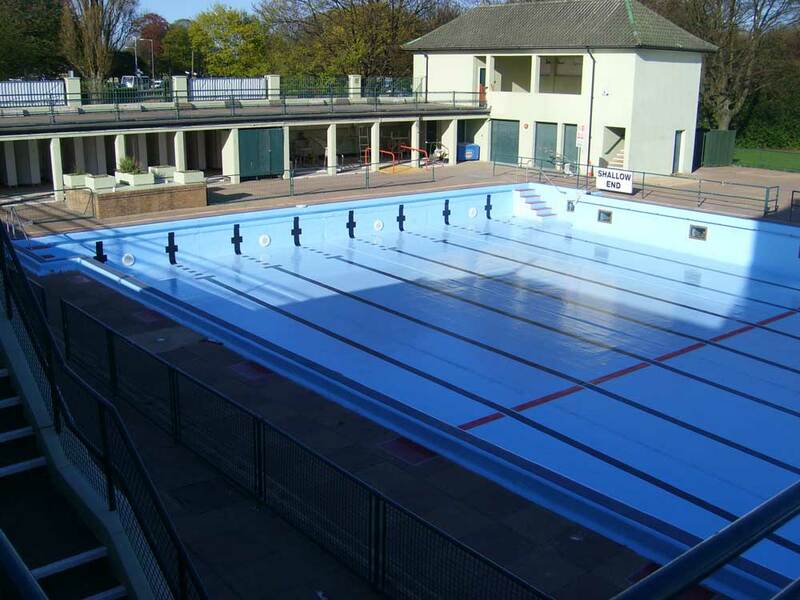 Peterborough Lido, two outdoor pools, one 50 metre one 20 metre, for the last twenty years they have both required painting every year and have been a continual problem and expense for the council. 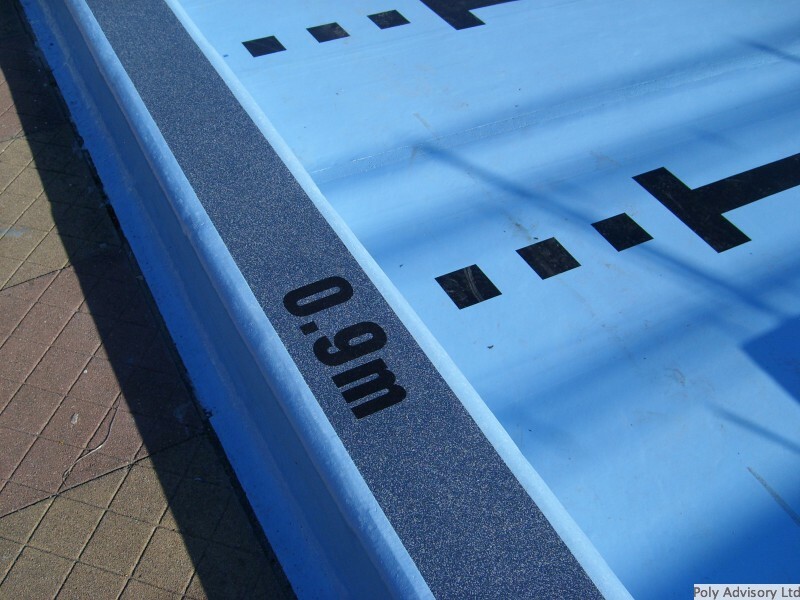 A range of problems existed with the pools, massive expansion joint problems, a river at the side of the pool was giving constant ground water problems and water was running constantly into the pool through the expansion joints. 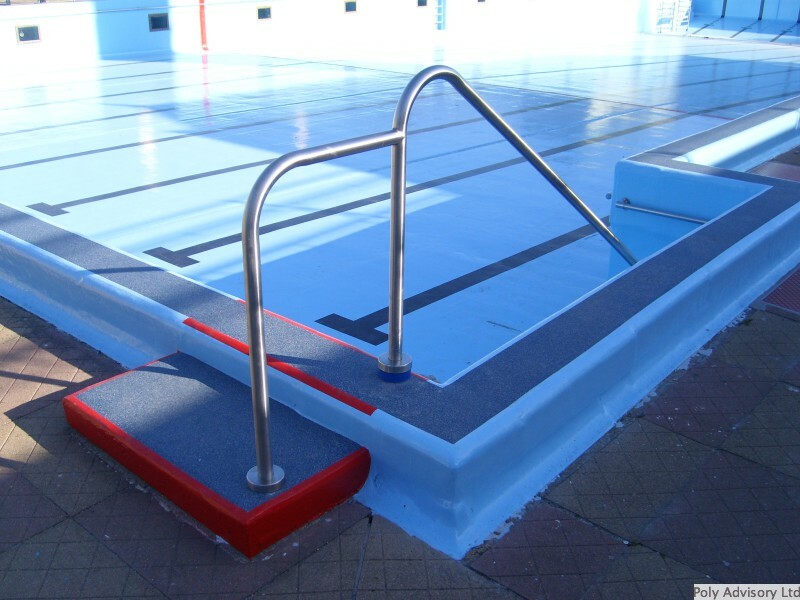 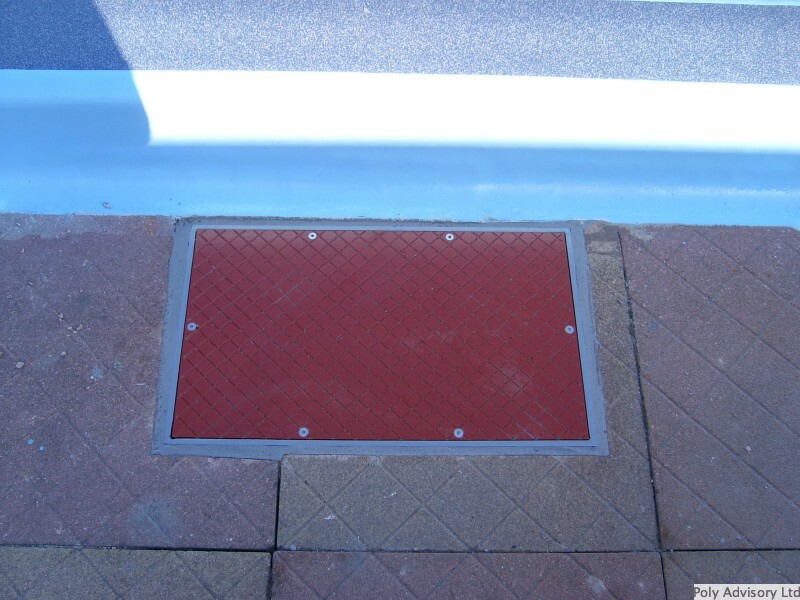 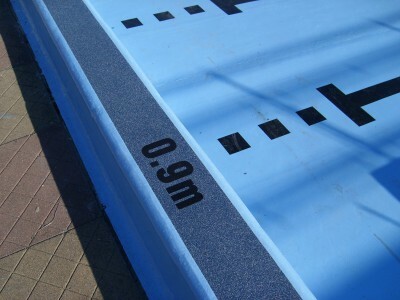 The council had dealt with the problem by putting two metre square 5mm thick steel plates all over the deepend of the pool which were corroding and were very dangerous with corners sticking up, loose bolts, the plates lifting. 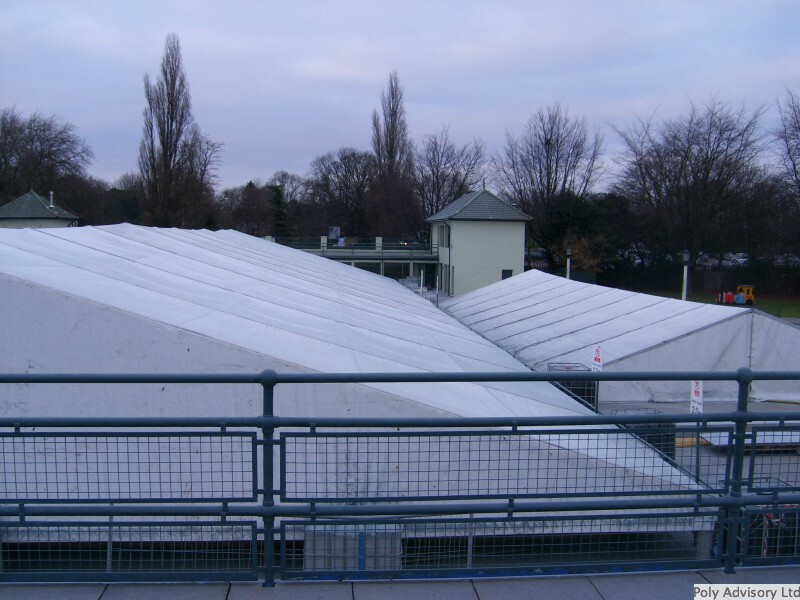 As the works were being carried out during the winter months, Poly Advisory acquired a very large second tent to cover the main pool along with our existing 33 metre tent over the small pool. 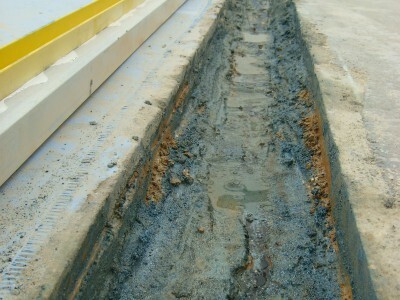 Both Pools were gritblasted using ten tonnes of blast media to remove the twenty coats of paint, exposing the concrete structure. 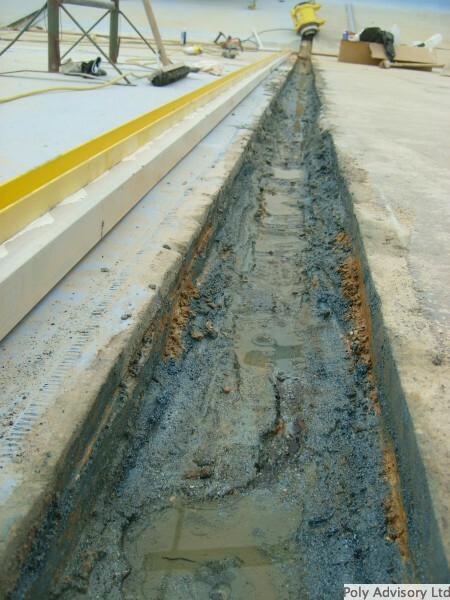 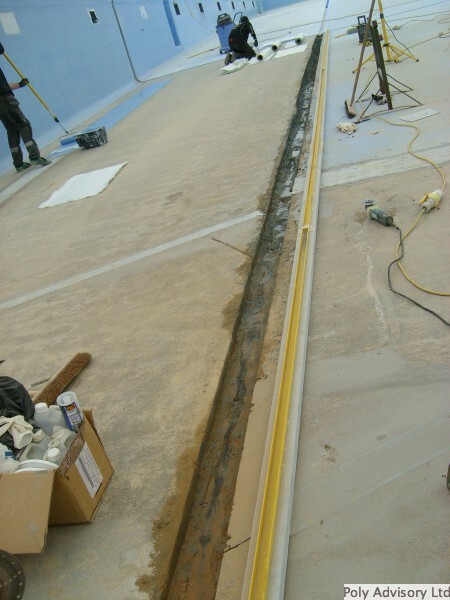 De-watering channels were installed, we channeled out between the slab and set in PAS drain boxes to allow the water to run to sumps with the pressure relief valves along with 500 metres of our own unique expansion joints, developed by us especially to work within swimming pools. 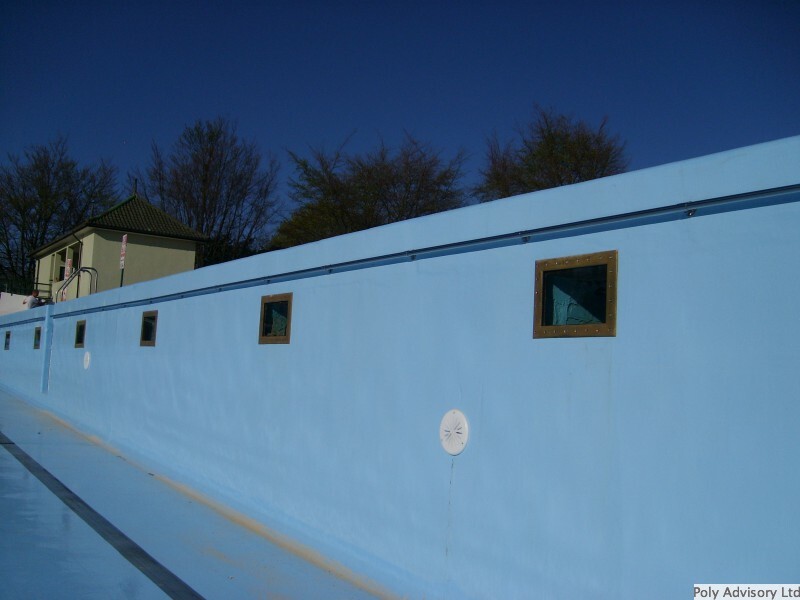 The pool tank had been a constant problem to the council with the architects struggling to come up with a solution, Poly Advisory provided this dewatering solution which a year later has worked perfectly. 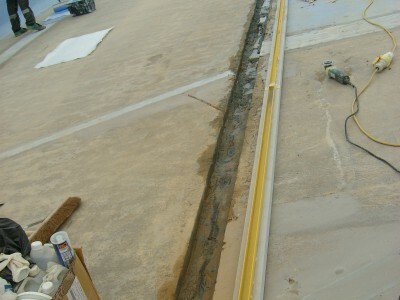 One way pressure relief valves allow water into the tank whilst empty and relieve any extreme ground pressure. With the repairs completed, both pools were completely lined with our paslam lining membrane including sumps, scum channels and coping. 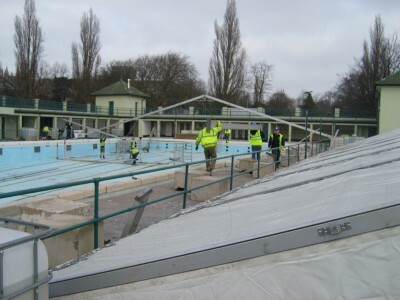 New stainless steel handrails were fitted to both pools, along with new HDPE inlet fittings, new access manholes to all the light chambers, new windows seals and bolts to all lights and treatment of the frames. Our PASBEAD non-slip surface was then applied to all steps and coping edges with highlighted edges for safety.